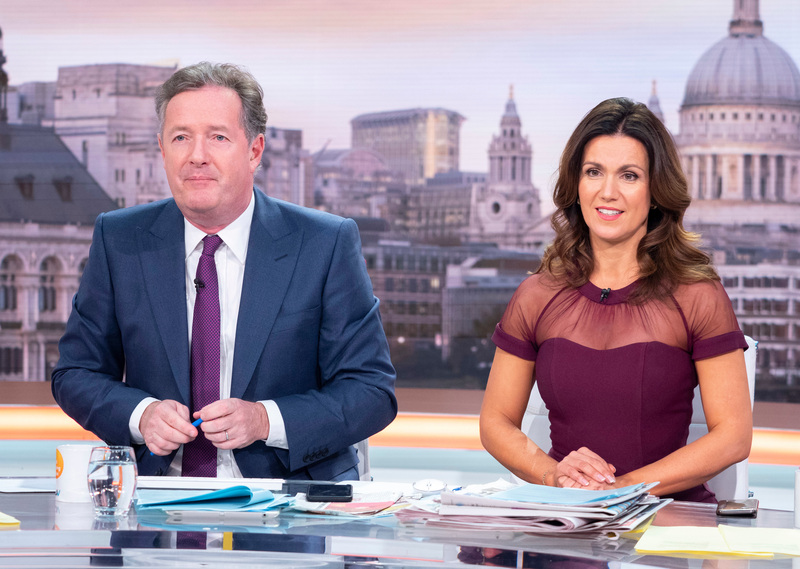 Susanna Reid has branded her Good Morning Britain co-host Piers Morgan a “genius” - despite his sometimes controversial opinions. Reid defended her opinionated co-star, famous for his divisive views, in an interview with GQ magazine published on Tuesday. Susanna even quipped that measuring her own more liberal opinions against those of her co-host is enough to make her start drinking, again after going teetotal last year. “He makes not drinking harder,” she joked. Although Reid admitted she feels “a responsibility to speak out for those who aren’t in the studio to defend themselves against his obnoxious rants”, she insisted that she wasn’t “oppressed” by her co-presenter, despite previously calling him “relentless” for arguing his opinion “repeatedly, over and over and over”. In the interview, Reid also defended Good Morning Britain’s decision to air an interview with the outspoken father of the Duchess of Sussex, Thomas Markle, who criticised his daughter for freezing him out. “Meghan signed up for this, and that’s the goldfish-bowl life that she now lives. It’s the family she chose,” she said. TV pair Piers and Susanna also celebrated a special milestone recently, with Susanna revealing that this Monday’s episode of Good Morning Britain saw them achieve in their highest ratings ever. On her Twitter, she wrote, ‘GOOD MORNING BRITAIN! Serving up record ratings yesterday – our highest @gmb ever. Thank you for watching 🙌🏼’.